Road to Retirement: Tips for Older Workers and the Employers Who Need Them | Challenger, Gray & Christmas, Inc.
“The tight labor market means employers are looking for qualified candidates. It could be a great opportunity for employers to add older workers who come already equipped with institutional knowledge,” added Challenger. A Towers Watson survey found 25 percent of workers plan to retire at age 70, well after the traditional retirement age of 65. Another survey from the Employee Benefits Research Institute (www.ebri.org) found that 26 percent of workers plan to retire at age 70, up from 16 percent in 2006. Currently, there are roughly 34 million workers 55 and older in the American workforce. That represents about 22 percent of all workers over 16. The latest numbers from the Bureau of Labor Statistics indicate that workers age 55 and older are experiencing a 3.4 percent unemployment rate, lower than the national average. However, the February figure for those 75 and older stood at 6.1 percent, the highest rate since July 2012. “The number of available workers could be a boon to employers. Many industries are experiencing a skills gap that older workers can successfully bridge,” said Challenger. According to a 2016 Adecco poll, 92 percent of employers believe American workers lack the skills needed in the workplace, with 44 percent citing soft skills like communication and critical thinking. Another 14 percent feel workers lack leadership skills. Forty-five percent of respondents feel the skills gap is causing missed growth opportunities, while 30 percent report it is hurting profits. 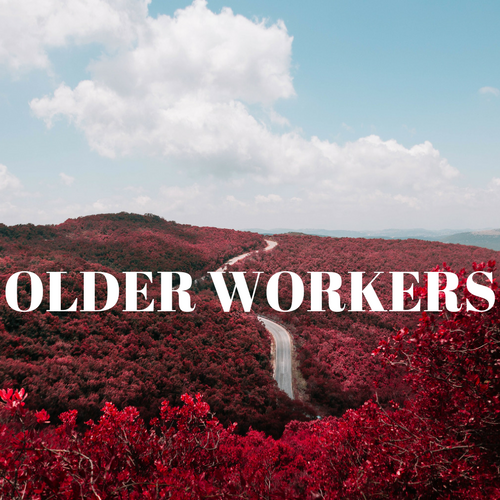 “Older workers possess the skills many employers seek. However, to get the attention of employers, this cohort needs to demonstrate a willingness to learn and adapt. Earning certifications or attending classes go a long way in proving one’s abilities to an employer. “It isn’t easy for older workers to find employment, especially as many of the top companies seem to trend young,” said Challenger. The Bureau of Labor Statistics reports the median age of all workers in the labor force is just under 42 years old. Meanwhile, the median age for top tech companies falls between 27 and 39 years old, according to Payscale data. Surprisingly, a recent Challenger survey found 24 percent of companies do not know or do not track the ages of their employees. That could prove to be short-sighted when trying to plan for future workforce needs. Simply because older workers expect to continue working does not mean they actually will. The EBRI study also found that 67 percent of workers expect to work for pay in retirement while 27 percent of retirees work for pay in actuality. “While many retirees reported they continue to work after retirement to stay active or for love of work, others may have had a difficult time finding new employment. This can be due to lack of available jobs, competition from younger counterparts, or age discrimination,” said Challenger. In 2016, 20,854 age discrimination charges were filed with the EEOC, up slightly from 20,101 filed in 2015. According to a survey conducted by AARP, 19 percent of respondents reported they did not get hired for a position due to age discrimination. The most common type of age discrimination is not getting hired, according to the study. “Older workers may feel the odds are stacked against them, but their skills and expertise are huge assets to many companies. The biggest winners of those who employ older workers are potentially companies with a younger workforce, like start-ups and tech companies. “Workers who experience age discrimination and want to continue working might try starting their own businesses, engaging in contract work, or becoming consultants. They could also change industries or embark on encore careers,” said Challenger. According to a 2012 MetLife Foundation and Civic Ventures report, 9.0 million people between the ages of 44 and 70 are already in “encore careers,” which is defined as a new phase of work that offers not only continued income but the promise of greater meaning and the chance to do work that means something beyond themselves. However, launching an encore career is not easy. The majority of those embarking on this path began to think about their second career at the age of 50, according the study, and took 18 months to make the transition. More than two-thirds of those in encore careers experienced gaps in personal income during the transition, with a quarter earning no money. “The road can be difficult for older workers, but they have more options than ever before. They can go to competitors, they can switch industries and some are even changing careers. Others may start their own consulting firms or spend their time volunteering for non-profit groups. The economy benefits tremendously from this cohort of workers, whether they embark on new careers or find positions with employers who recognize their value,” said Challenger. Emphasize relevant experience that tells the employer or prospective employer that you will not have a long learning curve. It is important to convince your employer that age has nothing to do with learning new concepts and accepting new ways of doing things. Mention work experience that demonstrates your flexibility and creativity to counteract stereotypes that suggest those over 50 do not have imagination. Discuss ways you solved problems and developed ideas to make your former employer more money or be more competitive. Stay current and embrace technology. If you do not have at least a rudimentary understanding of computers and how they work, take a class at night. Do not be afraid of new technology. It is used in practically every application of work whether it be sales, marketing, accounting, etc. Employers do not want to spend a lot of time teaching new employees how to use computers. They need employees to hit the ground running. Don't apologize for being over 50. (Far and away the most important point) Never say the following phrase again: "Nobody really wants to hire someone who is over 50." You cannot have a defeatist attitude or it will show during the interview. Employers want to hire people who are confident in themselves and their abilities, regardless of age. Don't mention accomplishments that you made more than 10 years ago unless they are extraordinary or the only example of experience you possess that meet the employer's needs. If you do mention a past accomplishment, talk about it as if it happened today. Don't talk down to, patronize, or become convinced that you could not work for a younger manager. You do not want to make the employer feel that you are better than younger counterparts. If you have a problem working for someone younger than yourself, resolve this conflict immediately because odds are the jobs you want or for which you may be interviewing involve working for people who are younger than yourself. It is a reality you have to accept and deal with properly.